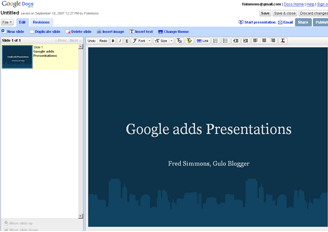 Today, Google Docs released the ability to create Presentations (PowerPoint-esque slideshows). slideshow public or invite specific collaborators to edit and/or view. Online presentation with real-time chat? Sounds pretty nifty. Look out, PowerPoint!